Inspired by Susan McCord’s 1880s applique masterpiece, the Vine Quilt, the original has 3000 pieced leaves running up and down 13 rows. I wanted to create an homage to the original, recreating it with contemporary techniques. 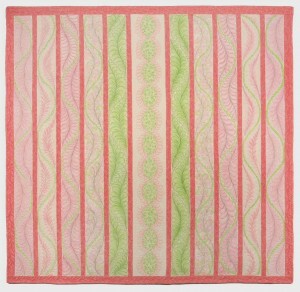 I quilted pairs of fanciful feather variations and then colored each one with pencil. A fixative was then painted onto the fabric. 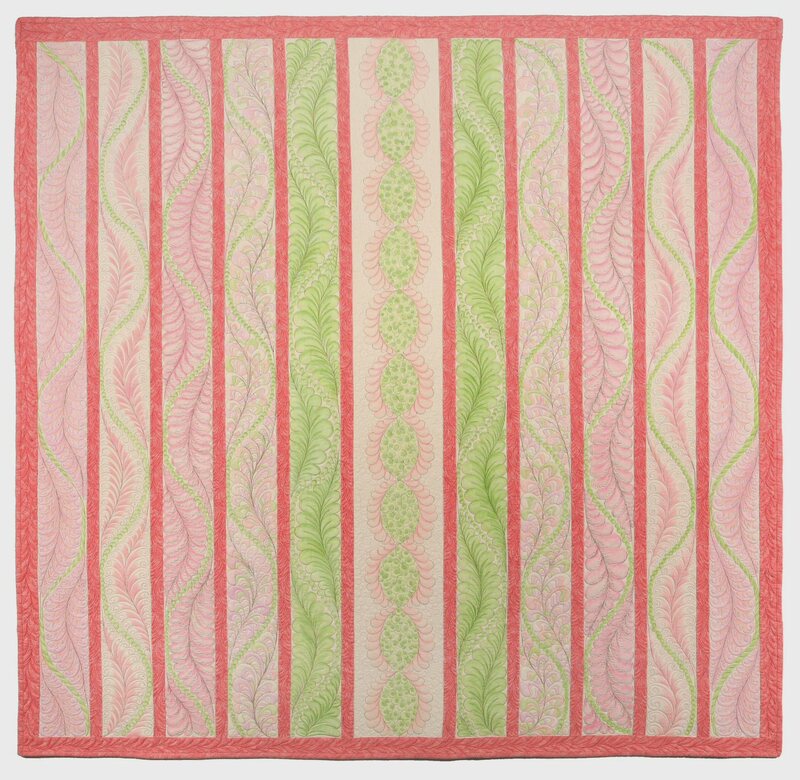 This piece was a winner of the 2010 Handiquilter Longarm Quilting Award in Paducah, KY.